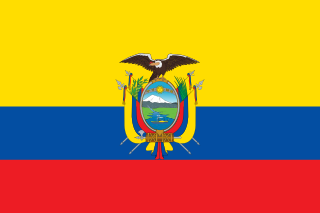 Ecuador, attempting to prove that it's indistinguishable from Costa Rica, tricks a tour group thinking they've gone to Costa Rica into believing that they were going to Costa Rica when in fact, they were taken to a part of Ecuador that was, apparently, indistinguishable from Costa Rica. As Ecuador residents arrived, not in Costa Rica but another Ecuador airport, Tena, where they were given fake stamps in their passports as they went through a staged passport control. No attention to detail was spared as huge posters were placed over the welcome billboards at the airport. Adverts depicting Imperial beer and 'Esencial Costa Rica,' Costa Rica's national brand, were displayed in the airport to throw the group off the scent. Somehow, I guess I assumed that there were more than twelve people on the no-fly before 2001. But then again, in hindsight, it seems very strange that no one saw any issue with allowing passengers to carry-on a box-cutter and enter the cockpit through the unlocked door. ...visualizing how much of a tax bonus/penalty you and your (childless) spouse (would have) received this year for filing as married, rather than single, as a function of income and income split. Taxes are really weird. Happy tax day; figures brought to you by The Upshot; interactive versions on their site. Every workplace could use a union. A union is the only real mechanism that exists to represent the interests of employees in a company. A union is also the only real mechanism that enables employees to join together to bargain collectively, rather than as a bunch of separate, powerless entities. This is useful in good times (which our company enjoys now), and even more in bad times (which will inevitably come). WaPo, meanwhile, thinks that "unions have taken on a kind of retro cool among the youth of today." [T]he students calculated that the largest pyramid must consist of men, women and children in order to distribute the weight efficiently – and a pyramid of this kind would in theory be able to reach a height of six tiers. A researcher who specializes in the security of commercial airplanes was barred from a United Airlines flight Saturday, three days after he tweeted a poorly advised joke mid-flight about hacking a key communications system of the plane he was in. Chris Roberts was detained by FBI agents on Wednesday as he was deplaning his United flight, which had just flown from Denver to Syracuse, New York. While on board the flight, he tweeted a joke about taking control of the plane's engine-indicating and crew-alerting system, which provides flight crews with information in real-time about an aircraft's functions, including temperatures of various equipment, fuel flow and quantity, and oil pressure. FBI agents questioned Roberts for four hours and confiscated his iPad, MacBook Pro, and storage devices. ...and that's our show. Remember to tip your TSA agents, and don't so much as think about airplane security while in airports, airplanes, or, for that matter, a 50-mile radius of either.